The Christian church is now knee deep in Lent. For my non-Christian friends and readers, let me explain. 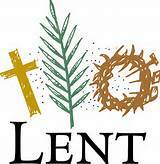 Lent is the term that the Christian church gives to the forty-six days before Easter. You’ve heard, no doubt, of Mardi Gras? Well that is the French for Fat Tuesday – the time to eat up all the goodies in the pantry before the next day, Ash Wednesday, the beginning of Lent. The church has another name for Mardi Gras; the church calls it Shrove Tuesday. Many churches celebrate Shrove Tuesday with a pancake supper. The next day, Ash Wednesday starts Lent, and Ash Wednesday is always 46 days before Easter. On Ash Wednesday, Christians go to church, and receive a cross on our foreheads made out of ashes. 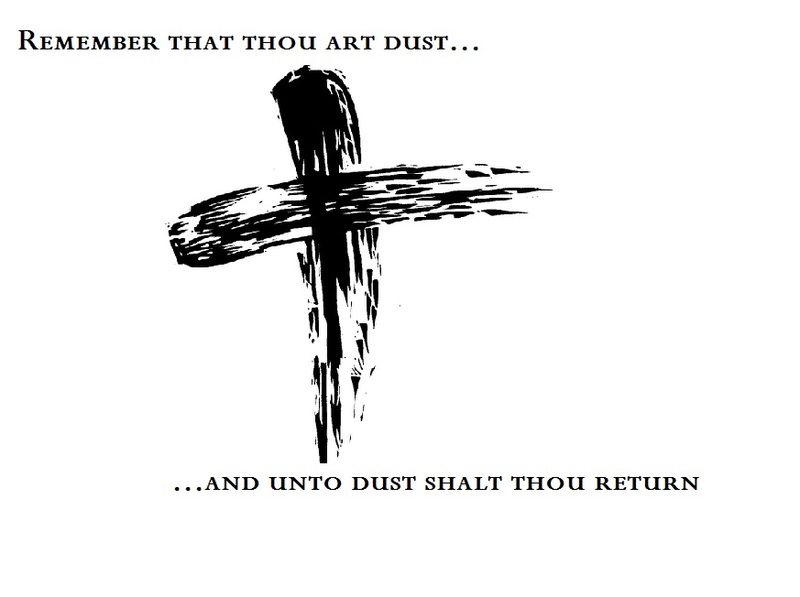 The Pastor or Priest uses those ashes to remind us that we are dust and to dust we will return. The ashes themselves were made out of burnt palm branches from the previous Palm (or Passion) Sunday (the Sunday before Easter when Jesus rode into Jerusalem). This year Ash Wednesday fell on February 18. Much of the Christian church has liturgical colors that it uses to make paraments to cover the furniture in the church: the altar; the pulpit, the lectern, and the vestments that the clergy wear. Just like the stained glass windows or the music, the colors help tell the story of God. The preferred liturgical color for Ash Wednesday is black (remember the ashes?) then purple becomes the color up until Palm Sunday or Passion Sunday. I happen to get very excited by the (liturgical) calendar of the church. If we pay attention, it draws us into a rich tapestry of stories, historical narratives, complete with colors and stories, characters and names . . . all of them combining to inform us about who and whose we are. We may think that we are pretty special because of our great friends, our sparkling possessions, our wit and wisdom, our pedigrees and degrees. We may think we are special because we are a mover and shaker in the business world or because we are excellent at making exciting things happen; we may just have a happy life. I get excited about the calendar of the church because it pulls me into a bigger story than anything I can dream up; with wonders and plot twists that can keep me on the edge of my seat; and which I happen to believe is absolutely true. Not sorta true. Or mostly true. Or relatively true. But live and die true. A lot of people seem to think that the church is full of hypocrites. Yep! A lot of people seem to think that it is full of “holier-than-thou” sorts. Yeah, probably some of them too. As far as I can tell, the church is just full of a lot of people who know they have screwed up in their lives; that they are not perfect; that they have made some really stupid choices; and they have heard tell that they don’t have to just wallow in that muck, they can repent and believe. Do you know what repent and believe means? It means Stop! Turn around! Look at Jesus. In Luke 5:31 Jesus says: the well have no need of a physician. Christians are weird. Their mamas sometimes dress them funny. Some of them don’t even mind getting their hands dirty. They actually do things like talk to God. They try to learn from their Lord to go out into the world and tell the story. . . the good news. . . Sometimes it is hard to believe that there is good news. But there is. No matter what becomes of us the story doesn’t end here. Because there is a bigger story. The author of that story seems to want us to be part of it. Are you game? 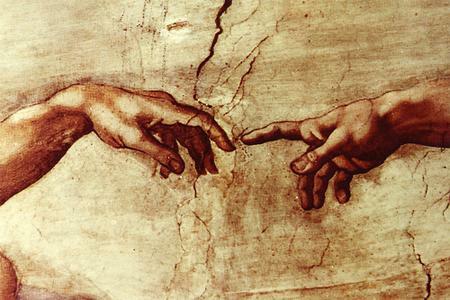 This entry was posted in Church, Heaven, Life in these times and tagged Blessings, Children, Christian witness, Counter-cultural, Faith, Forgiveness, God, Lent, Liturgy, Prayer, Sin, Trial, Worship. Bookmark the permalink.